TORONTO – Campbell v Attorney General of Canada (2018 FC 683) provides yet another example of the futility in resisting a Canada Revenue Agency tax audit. In Campbell v Attorney General of Canada, the taxpayer challenged the Canada Revenue Agency's tax audit powers on two grounds. First, he alleged that the Canada Revenue Agency overstepped its authority by using its civil audit power to advance a criminal investigation. 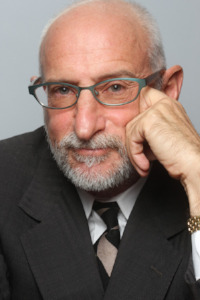 Second, he argued that the very legislation granting the CRA's audit powers infringed his rights under the Canadian Charter of Rights and Freedoms. • require any person to provide any information or document. On the basis of these provisions, the CRA can issue a Requirement for Information, which is essentially a letter demanding a taxpayer to turn over various documents or information. If the taxpayer refuses, the CRA can, under section 231.7 of the Income Tax Act, pursue a court order forcing the taxpayer to comply or face sanction. A witness who testifies in any proceedings has the right not to have any incriminating evidence so given used to incriminate that witness in any other proceedings, except in a prosecution for perjury or for the giving of contradictory evidence. These Charter protections don't apply to regulatory measures like the CRA's tax audit powers under sections 231.1 and 231.2 of the Income Tax Act. But the CRA can only use its tax audit powers under sections 231.1 and 231.2 during civil tax reassessments; it cannot use these powers when pursuing a criminal investigation or prosecution for tax evasion. Likewise, the CRA's enquiry will trigger the above-mentioned Charter protections upon shifting from determining tax liability to establishing criminal tax liability. When, in light of all relevant circumstances, it is apparent that [Canada Revenue Agency] officials are not engaged in the verification of tax liability, but are engaged in the determination of penal liability under [the tax-evasion provisions], the adversarial relationship between the state and the individual exists. As a result, Charter protections are engaged. When this is the case, investigators must provide the taxpayer with a proper warning. The powers of compulsion in ss. 231.1(1) and 231.2(1) are not available, and search warrants are required in order to further the investigation. As a result, a judge will not grant a CRA-requested compliance order under section 231.7 if the judge finds that the investigation has moved from determining civil liability for tax owing to pursuing criminal prosecution for tax evasion. • Did the authorities have reasonable grounds to lay charges? Does it appear from the record that a decision to proceed with a criminal investigation could have been made? • Was the general conduct of the authorities such that it was consistent with the pursuit of a criminal investigation? • Had the auditor transferred his or her files and materials to the investigators? • Was the conduct of the auditor such that he or she was effectively acting as an agent for the investigators? • Does it appear that the investigators intended to use the auditor as their agent in the collection of evidence? • Is the evidence sought relevant to taxpayer liability generally? Or, as is the case with evidence as to the taxpayer's mens rea, is the evidence relevant only to the taxpayer's penal liability? • Are there any other circumstances or factors that can lead the trial judge to the conclusion that the compliance audit had in reality become a criminal investigation? In sum, the Charter permits a court to restrict the CRA's tax audit powers should the court find that the investigation has turned from a tax audit to a criminal tax prosecution. The CRA sent Mr. Campbell a Requirement for Information, which included a 15-page questionnaire about his foreign assets. But Mr. Campbell resisted. 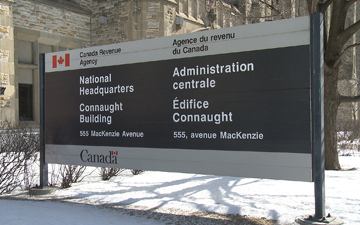 He refused to comply with the CRA's request on the basis that the Canada Revenue Agency sought the information to pursue criminal charges for tax fraud. The court sided completely with the CRA and ordered Mr. Campbell's compliance with the Request for Information. It reasoned that section 13 of the Charter wasn't yet relevant: the section applies only if a person is charged with an offence, which wasn't the case with Campbell. In addition, the court rejected Campbell's request that CRA confirm it wasn't pursuing criminal charges via affidavit. Campbell hadn't produced any legal basis for such a request. Moreover, the court observed that Campbell's request promoted poor policy. In particular, Campbell's request might serve as precedent for forcing public officials to reveal the existence of criminal investigations—and thus undermine their efficacy. In the end, the court upheld the constitutionality of the CRA's tax audit powers and ordered Mr. Campbell to comply with the CRA's Request for Information. The Income Tax Act is clear on Canada Revenue Agency civil and criminal audits. But what happens when the goal of a CRA civil audit is to lay criminal charges?